TRAVEL.org - Hawaii. Find Resorts in Hawaii, Maui, Kauai, Molokai, Oahu, Kona, and Waikiki beach, along with cool activities, and other Hawaiian travel info. Look Into Hawaii - Hawaii Beaches, Hotels, Restaurants, Activities, & Reviews. Panda Travel - A full service travel agency offering Hawaii vacation packages. Discounts are available for Hawaii travel to make your vacation memorable. Hawaii Ecotourism Association - is dedicated to to protecting Hawaii’s unique natural environment and host culture through the promotion of responsible travel and educational programs. Check out our comprehensive directory of ecotour operators throughout the Islands of Hawaii. 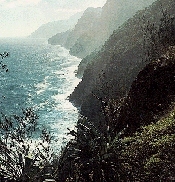 Hawaii-MyGuide.com - Hawaiin Islands Vacation Guide to Cruises, Hotels, Resorts and Vacation Packages. All-Travel.com - A Full service travel agency - Your "One Stop Source to Hawaii". Explore our comprehensive "Experts2Hawaii" database. You won't find anything else like it on the web. Hawaii Life Real Estate Services - Latest News on Buying all types of Real Estate in Hawaii, along with numerous listings. Hawaii Beach Rentals Travel Blog - Calendar of Events throughout the islands. Find out where the cool things are happening. Hawaii Vacation Deals - Tips & Guide for Saving on Hawaii Travel Packages, Vacation Rentals, Cars, Airfare, Activities and More. Go Oahu Card - 25 Oahu attractions, museums, tours, sightseeing, excursions for one low price. Aloha Bound Adventures - Book Hawaiian Activities Online, Luaus, Whale Watching and more! Kona Coffee Tours - If you love Coffee, why not visit a Hawaiian Kona Coffee farm on your next Hawaii vacation. Big Island Helicopter Tours - Explore Hawaii volcanoes on one of Safari's Big Island helicopter tours! Great Vacation Retreats - Wonderful vacation rentals on Kauai and the Big Island. Big Island Rental Places - Vacation Rentals - Beach Vacation Homes, Villas, Condos and House Rentals in Big Island, Hawaii. Professionally Managed Vacation Rental Accommodations. Marriott’s Maui Ocean Club – Lahaina & Napili Towers - Marriott's Lahaina Maui resort ' Maui Ocean Club ' is located on the sands in one of the world's top island destinations. With spacious villas, dramatic views & luxurious amenities, our resort in Lahaina is an unforgettable escape. The Fairmont Orchid Luxury Hawaii Hotel - Of the Hawaii luxury hotels and resorts on the Big Island, Fairmont is paradise for weddings, honeymoons and vacations to enjoy spa, golf, restaurants, tennis, ocean views on the tropical Hawaiian Islands. Ahh Aloha Kauai Vacation Rentals - is your go-to place to find ideal Kauai vacation rentals on the north, east and south shores with excellent service. Kayak Kaua'i Kayaking-Hiking-Camping-Biking-Snorkeling-Surfing. One day guided tours and rentals from novice to expert. Seven day outdoor package every week of the year. See the highlights of Kaua'i on our Discovery Tour. Kauai Discount Jeep Rental - 2 door and 4 door Jeep Wrangler rental in Kauai, Hawaii. Kauai Safari Helicopter Tours - Safari Helicopters is the Big Kahuna of Kauai helicopter tours. Napali.com - Kauai Boat Tours - Explore Kauai's Na Pali Coast by Boat. Ali i Kayak Tours Kauai - One of the best ways to see the hidden places on Kauai is on our Wailua River kayak tour. KauaiAlohaWed.com - Kauai Weddings - Kauai is the perfect location for your unforgettable Island wedding. Poipu Sands - Ocean view condo complex overlooking Shipwreck beach in beautiful Poipu, Kauai. Puu-Poa Condos - Princeville - Luxury oceanfront condos in Princeville Kauai. Exclusive Vacation Rental Home-Poipu Beach, Kauai - Overlooking Poipu Beach, well appointed, 3 bd, 2 bath, 360 sqft. lanai. Kauai Rental Places - Vacation Rentals - Beach Vacation Homes, Villas, Condos and House Rentals in Kauai, Hawaii. Professionally Managed Vacation Rental Accommodations. Courtyard Kaua'i at Coconut Beach - Get away to one of the most luxurious Kapaa hotels ' Courtyard Kauai at Coconut Beach. With spacious guest rooms, gorgeous ocean views, delicious on-site dining & elegant event space, our Kapaa hotel is sure to be a paradise you won't want to leave. Marriott's Kauai Lagoons - This secluded Hawaiian oasis offers a uniquely serene experience on the lush Garden Isle of Kauai. Elegantly appointed two and three-bedroom villas feature separate living and dining areas, and a full kitchen. Marriott's Waiohai Beach Club Vacation Rental - More distinctively Hawaiian than any other island, lush Kaua'i is the backdrop for Marriott's Waiohai Beach Club. Elegant two-bedroom, two-bath villas offer separate living and dining areas, a master suite with oversized soaking tub, and private lanai. Marriott’s Waiohai Beach Club - Escape to Kauai luxury vacation rentals at Marriott's Kauai Lagoons. Surrounded by warm beaches & an array of amenities, these spacious Kauai vacation rentals, offer a luxurious retreat with breathtaking views. Marriott's Kauai Beach Club Villas - Marriott's Kauai Beach Club is located within the Marriott Kauai Beach Club resort with a 26,000 sq foot swimming pool. This idyllic Hawaiian resort is situated amongst rain forests, white sand beaches & misting waterfalls. Discover South Pacific-inspired studios & guestrooms. Also, spacious 1 & 2-bedroom villas feature separate living & dining areas, & a gourmet center. Kauai Car Rentals - Find a car at Lihue Airport (LIH) & Princeville (HPV). The Parrish Collection Kauai - Island Vacation Homes - Find a Poipu Resort at Kauai's most popular beach. Redline Molokini Snorkeling Tours - Snorkel at Molokini Crater & Maui's Forbidden Coast - with a focus on FUN! Snuba Maui - Learn to Snuba, and enjoy the underwater benefits of scuba diving with the ease of snorkeling. Best Maui Activities - Discover the most popular activities, attractions, and things to do on Maui. Maui Kayak Adventures - Escape from the crowds, buses and tour boats to see Maui from an ocean perspective! Maui Surf Lessons - We believe everyone can surf! Maui is the best place to start. Maui Stand up Paddle Boarding - Owned and operated by paddlers, surfers and ocean enthusiasts gifted with a special knack for coaching, touring and accommodating the diverse needs of groups and visitors to Maui. Hawaii Mermaid Adventures - is committed to providing an experience of a lifetime and a memorable, underwater adventure. Tour Maui - Road to Hana - Take a Road to Hana Tour with Valley Isle Excursions. Travel with a Maui Guide in our 12 Passenger vans through the rainforest of Maui. Stop at the Seven Pools and a Black Sand Beach. Green Maui Helicopter Tours - Helicopter tours that come with a free carbon offset. Make your Maui, Hawaii vacation eco-friendly. Maui Resort Rentals - Honua Kai Resort - Luxury condo rentals at The Honua Kai Resort on West Maui's famous Kaanapali North Beach. Hyatt Regency Maui Resort and Spa - Guests of the Maui resort enjoy fine dining & lounges, spa, on-site recreation, golf, indoor & outdoor events space for meetings and weddings. The Fairmont Kea Lani Luxury Maui Hotel - Of the Hawaii luxury hotels and resorts on the Wailea beach in Maui, Fairmont is paradise for vacations and packages to enjoy spa, golf, restaurants and tennis, ocean views on the tropical Hawaiian Islands. Courtyard Maui Kahului Airport - Discover the brand new Courtyard Maui Kahului Airport, not your average Maui airport hotel. Our hotel at Maui Airport offers exclusive amenities including high-speed Internet, modern technology and luxury bedding. Castle Resorts - Kamaole Sands Rentals - Rentals at Kamaole Sands are situated in Kihei on Kamaole Beach offering views of blue/green ocean and white sand beaches. The Ritz-Carlton Spa, Kapalua - Experience authentic Maui spa treatments at The Ritz-Carlton Spa, Kapalua. With our Maui spa’s Hawaiian aromatherapy treatments you can rejuvenate your body and soul. Marriott’s Maui Ocean Club – Molokai, Maui & Lanai Tower - Located on the beautiful sands of Ka'anapali Beach is Marriott's Maui Ocean Club. Retreat in island style to spacious one and two-bedroom suites with living and dining areas, gourmet center, and private balcony. Standard guestrooms also available. Maui Rental Places - Vacation Rentals - Beach Vacation Homes, Villas, Condos and House Rentals in Maui, Hawaii. Professionally Managed Vacation Rental Accommodations. Molokai Rental Places - Vacation Rentals - Beach Vacation Homes, Villas, Condos and House Rentals in Molokai, Hawaii. Professionally Managed Vacation Rental Accommodations. Koko Resorts - is a place where you can experience paradise in your own way. Highly rated as one of the best vacation rental condo providers, we offer you the very best in accommodation. Waikiki Beachcomb Resort - Enjoy a private balcony with ocean view and an outdoor pool at our comfortable Honolulu hotel, located just 300 steps from Waikiki Beach with an on-site restaurant and bar. Aqua Resorts - Learn more about our many Waikiki hotels from Aqua Resorts and Hotels. Waikiki Beach Marriott Resort & Spa - Directly across from world famous Waikiki Beach, the Waikiki Beach Marriott Resort & Spa enchants guests with true, Hawaiian culture. Here, the Marriott tradition blends with the Aloha Spirit to create a warm and welcoming atmosphere. An added plus is that there are No Resort Fees! JW Marriott Ihilani Ko Olina Resort & Spa - Get away to one of the premier Oahu luxury resorts ' the JW Marriott Ihilani Resort and Spa at Ko Olina. Featuring distinctive accommodations, championship golf and award-winning dining, our luxury resort's Oahu location is the ultimate retreat. Oahu Rental Places - Vacation Rentals - Beach Vacation Homes, Villas, Condos and House Rentals in Oahu, Hawaii. Professionally Managed Vacation Rental Accommodations. Marriott’s Ko Olina Beach Club - The shore of Oahu is home to Marriott's Ko Olina Beach Club. Elegance is found in spacious guestrooms or 1, 2, & 3-bedroom villas with all the comforts of home. Enjoy access to the JW Marriott Ihilani Resort & Spa and Ko Olina Golf Club and Marina. Marriott Hotels in Hawaii - Explore Hawaiian resorts and beach hotels in Maui, Kauai and Oahu and book online with confidence with Marriott's Best Rate Guarantee. Marriott's Waiohai Beach Club Vacation Rental - This vacation rental in Kauia, Hawaii offers beachfront water sports and a sparking courtyard pool. Additional amenities include an on-site fitness center and spa. Holiday Group – Hawaii Timeshares - Discounted timeshare resales in Maui, Waikoloa, Honolulu, Princeville and more. Wailea Beach Marriott Resort & Spa - Get swept away by the beauty of our Maui, Hawaii resort. Featuring a stunning oceanfront location, the Wailea Beach Marriott Maui resort & Spa on Maui welcomes guests with panoramic views, a lavish spa, spectacular dining, nightly luaus and more. The Waikiki EDITION - Our stylish Waikiki luxury hotel welcomes you to paradise featuring custom beds, spa-like bathrooms, innovative cuisine, a private beach, and an outdoor movie theater. Aqua Resorts- Hawaii - Hawaii is within reach at our 17 hotels. At our 14 Waikiki boutique hotels, you're just steps from a beach walk or a hike to the top of famed Diamond Head. Hotel Wailea on Maui is a hip change of pace from typical large resorts. Hotel Molokai is a charming boutique hotel located on the unique island of Molokai. Kauai Beach Resort is a full-service plantation-style resort in Lihue, Kauai. Kauai Marriott Resort - Plan your stay at Kauai Marriot Resort and discover a leader among hotels in Kauai. With a beachfront location, golf, a spa, family-friendly amenities and romantic wedding sites, our hotel in Kauai, Hawaii, offers the ultimate escape. Turtle Bay Vacation Rental in Hawaii - Four-bedroom luxury villa on Oahu\'s North Shore. White sand beach right outside. Turtle Bay Resort amenities included. Waikoloa Beach Marriott Resort & Spa - When it comes to luxurious Big Island hotels, the Waikoloa Beach Marriott Resort & Spa is unmatched. Our Hawaii hotel's Big Island locale is the perfect backdrop for relaxation. Plan a stay at one of the premier resorts on the Big Island of Hawaii. Marriott's Kauai Beach Club Villas - Discover the Marriott Kauai Beach Club. With breathtaking Kauai luxury villas featuring stunning views, superb amenities and gracious service, these Kauai villas offer an unforgettable escape. See our Kauai vacation villas and plan your stay today. VacationRentals.com - Find lovely, furnished private homes, villas, and condos of all sizes throughout Hawaii. Vacation Rental Network - Find a beautiful home, villa, or condo in our extensive database of vacation properties for Hawaii. Scenic Rentals.com - Find beautiful vacation homes & condos in Hawaii. Honolulu Hotels and Accommodations - Discounted rates on Hotel rooms, Car Rentals, Flights, Vacation Rentals. Discountedhotels.com, your complete travel resource. Marriott's Ko Olina Resort & Beach Club - The exquisite western shore of Oahu is home to Marriott's Ko Olina hotel featuring secluded beachfront villas and luxury hotel rooms. Travel To Hawaii Reveiwed - Read our objective reviews and listed resources for head start on planning your Hawaii vacation.